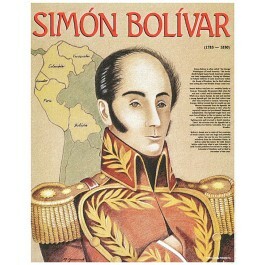 This poster features a large image of South American hero Simon Bolivar, as well as a concise and well-explained biography of his life and importance. 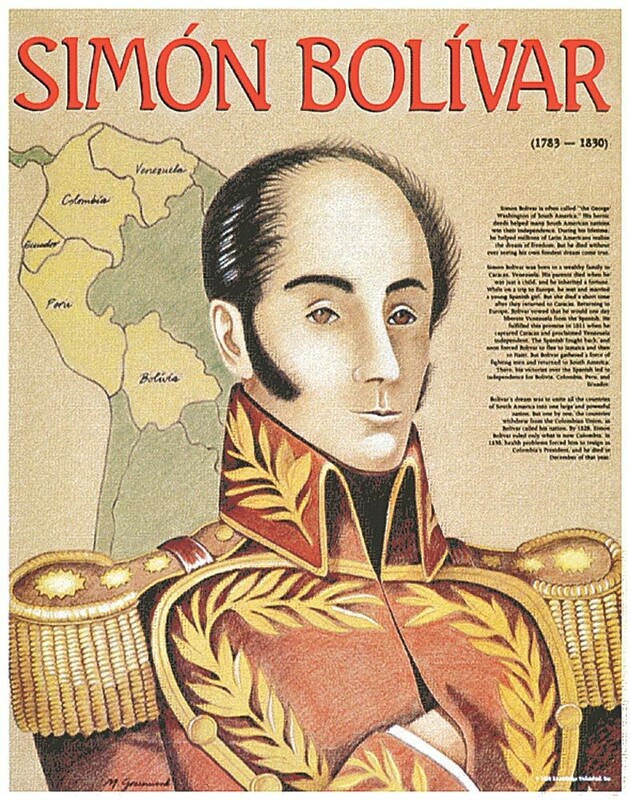 Called "the George Washington of South America," Bolivar's heroic actions during the early 19th century helped a number of South American nations gain their independence. His influence is still felt in South American politics today.